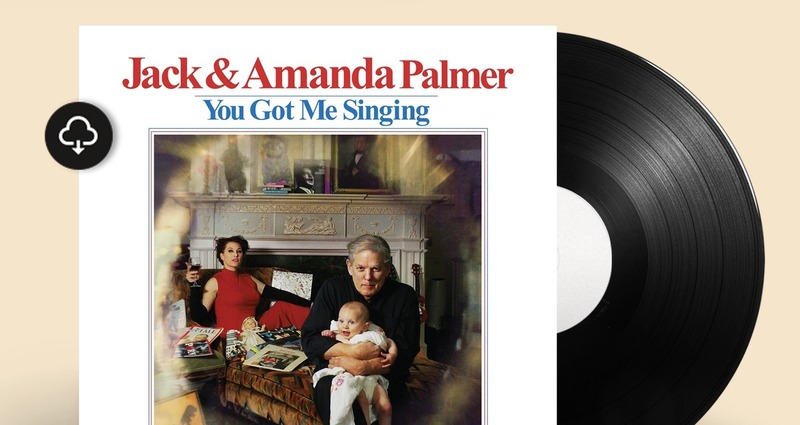 Amanda Palmer wanted to recreate the cover of Bob Dylan’s album “Bringing It All Back Home” for her new record “You Got Me Signing” which includes twelve cover songs made my Amanda and her father, Jack Palmer. The design challenge included retouching and styling the cover image, photographed by Kyle Cassidy, to match the original. The image was then implemented into the cover design. 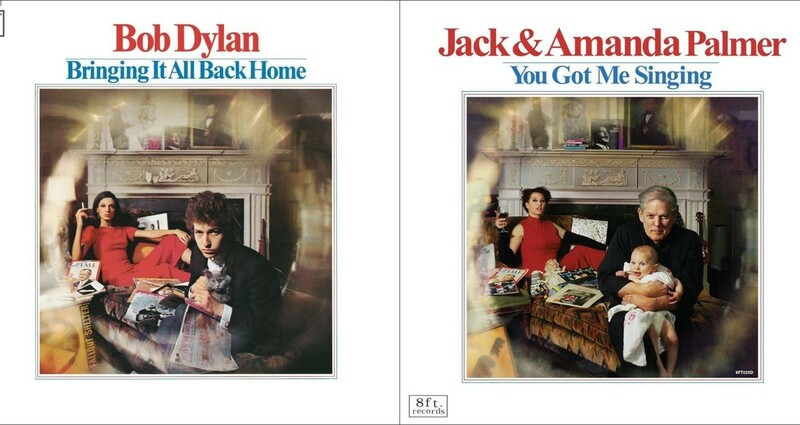 The back of the album also mimics “Bringing It All Back Home” but includes photographs of Amanda and Jack Palmer and liner notes written by Maria Popova.